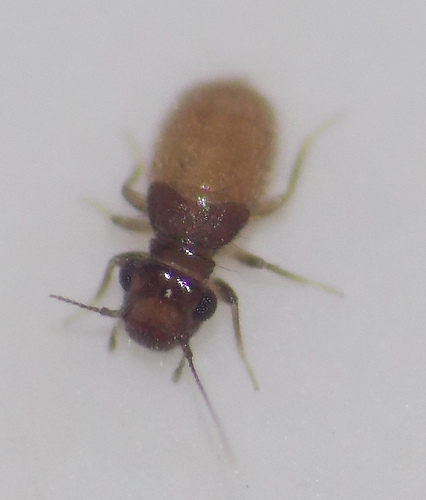 This tiny bug was in my bathtub. When it moved it moved very quickly. Anybody have any ideas what it is? I am a little troubled that this was in my bathtub. well, i'm happy it was!